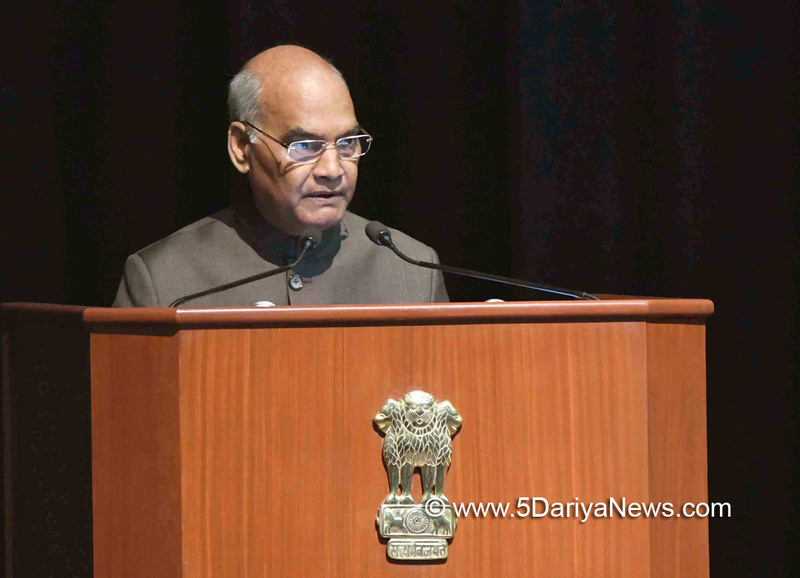 The President of India, Ram Nath Kovind, graced and addressed the International Nurses Day Celebrations organised by the Ministry of Health and Family Welfare in New Delhi today (May 12, 2018).Speaking on the occasion, the President said that International Nurses Day is an occasion for the entire nursing community to remember Florence Nightingale and renew their commitment to her ideals. Florence Nightingale had established nursing as a service to humanity. She motivated nurses to follow the path of dedication, commitment and compassion.The President noted that at present, there are 1.7 nurses per 1,000 people in India, but the world average is 2.5 nurses. He stated that in the past few years, the number of institutions for nursing education has increased. As a result, the number of registered nurses and other health workers had crossed 27 lakh till March 2017. But this number is not sufficient because the need for nurses is growing.The President said that the nursing community has a vital role in keeping our country healthy. A nurse who is helping a patient, in a remote village, in fighting a serious illness is a nation-builder. The nursing community serves the people with devotion and commitment and the entire nation is grateful for this.